Kevin Parks, Kandice Parks, Keosha Strickland, Te Shayla Yearby, and Austin Burns, Injured in Shooting Outside Coyote Jack’s Saloon; Can Chattanooga Victims Seek Justice, Compensation? Could this senseless Chattanooga parking lot shooting have been prevented, and are justice and compensation available to the victims? Security measures are in question after gunfire erupted “in the parking lot outside Coyote Jack’s Saloon” Sunday morning, July 15, 2018, leaving 5 injured, per WATE 6 reports. According to the Times Free Press, “Kevin Parks, 32; Kandice Parks, 29; Keosha Strickland, 25; Te Shayla Yearby, 21; and Austin Burns, 22, were all taken to local hospitals, some by ambulance and some by personally owned vehicles” following the incident. Witnesses apparently told News Channel 9 “an argument” occurred “between men seconds before multiple shots were fired.” Five victims were transported to the hospital with injuries. Their conditions and identities have not been released. 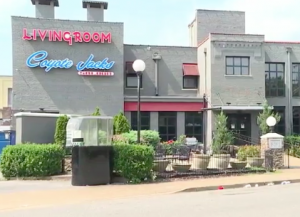 Did negligent security contribute to this Chattanooga bar parking lot shooting? We represent individuals and families who have suffered a tragic loss or injury as a consequence of negligent property security. Read Our Legal Take below to find out if the victims may have a legal avenue for justice and claims for substantial compensation in Tennessee, or call now for a free consultation with our legal team: 888.842.1616.
Business and parking lot patrons have a right to feel safe and secure while on the premises. The Murray Law Firm questions the level of security provided on the property and whether this tragedy may have been prevented. What additional security measures, such as weapons screenings, bright parking lot lighting, surveillance cameras, and off-duty police patrols, were implemented by the business and parking lot owners following media reports of prior violence? Generally, property owners are required to protect all those legally on the premises from any foreseeable harm. Should the facts of this matter reveal that the business or parking lot owners failed to provide adequate security to protect those on its premises, the victims may seek justice and elect to pursue legal claims for their injuries.